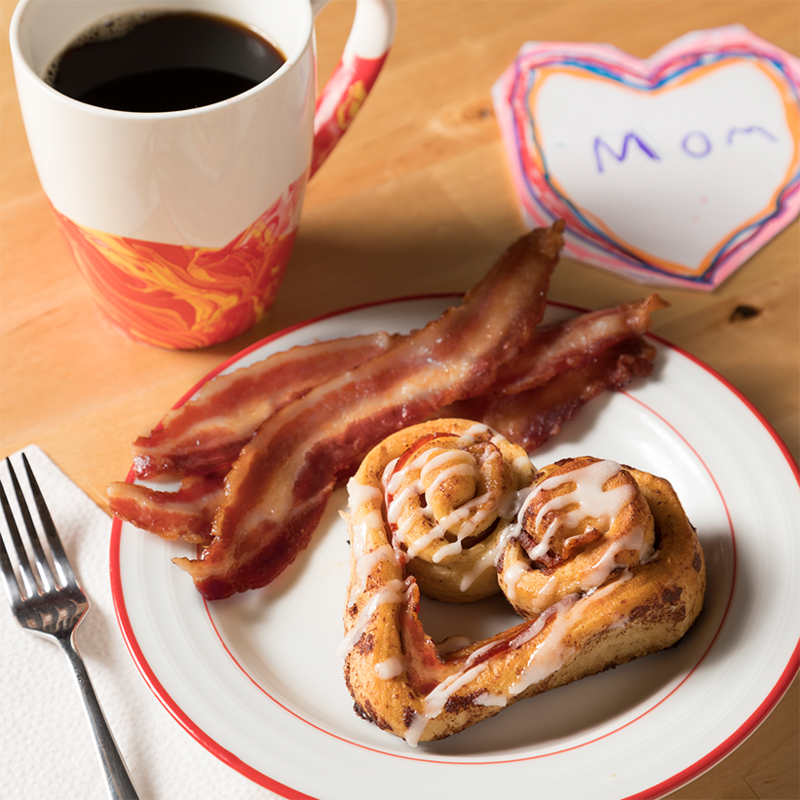 Make these DIY watercolor coffee mugs to brighten up Mother’s Day breakfast. Grab a parent and cover your workstation with newspaper. Fill your container with warm water. 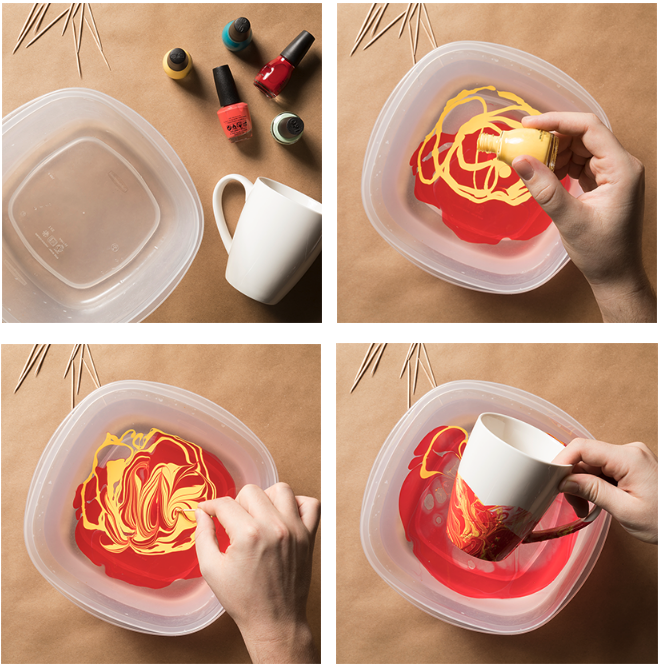 Add a drizzle of nail polish to water and let the color spread out on the surface. Use a toothpick to swirl and mix around colors. Dip mug into water and rotate to create random patterns on surface. You can use nail polish remover to remove any marks you don’t like. Repeat with additional colors, or you can mix multiple colors in step #2. Pat mug dry and let sit for a few hours. To set the colors more permanently, place mug in oven and preheat to 400ºF. Heat for 15 minutes and turn off heat. Remove mug once oven has completely cooled down.